Explore the waterways between Amsterdam and Bruges with Iowa Public Radio and experience a 9-day trip savoring springtime in Holland and Belgium with a cruise that highlights the blooming Dutch tulip fields, alongside Talk of Iowa host Charity Nebbe and guided by Collette professionals. It’s so easy, all you have to do is pack your bags! Expand your horizons through travel with Iowa Public Radio! Find trip details, view the full itinerary, and request more information sent to you by mail here. Deposit due date for this trip is September 13, 2018. Book now to save $500 per person. Experience the color and glory of spring on this leisurely river cruise through Holland and Belgium. Float past blooming fields of flowers and windmills. 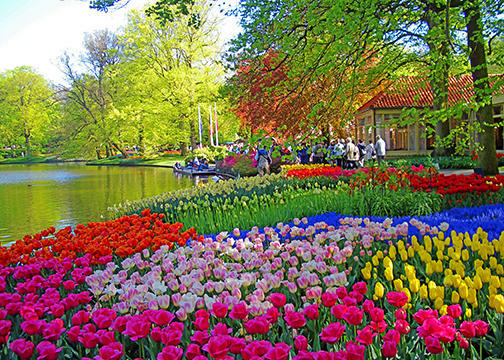 Visit the expansive tulip fields of Keukenhof Gardens, home to more than 7 million tulips and one of the most visited attractions in all of Europe! Visit Kinderdijk, and see Holland's largest concentration of windmills. 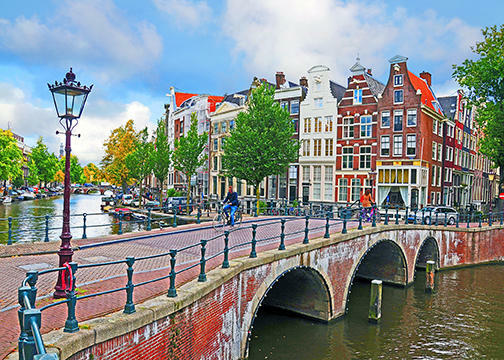 Enjoy a canal cruise in the heart of Amsterdam. 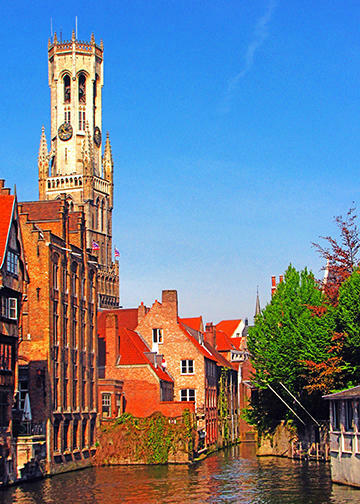 Step back to medieval times during a Bruges sightseeing tour. Sample artisanal cheese at a Dutch farm. Stop in Arnhem, the favorite summer retreat of the Dutch royal family.